One of the Valley’s premier gastroenterologists, Dr. Kazi trained at the University of Chicago before completing a fellowship at Advocate Lutheran General Hospital in Park Ridge, Ill. Following several years in private practice in Chicago, he moved to Scottsdale in 2004 and opened Colon & Digestive Health Specialists. With a special interest in advanced endoscopies such as ERCP and disorders of bile ducts and the pancreas, he performs upper endoscopy and (EGD), colonoscopy, PEG tube placements (feeding tubes), hemorrhoidal treatment and push enteroscopy (endoscopy of the small intestine). Dr. Kazi is involved in various committees at HonorHealth Shea Medical Center and Osborn Medical Center and serves on the credentialing committee (Osborn) and on the pharmacy and therapeutic committee (Shea) where he previously served as the Department of Medicine vice chair. He is active in clinical research trials for conditions such as celiac disease and encephalopathy. 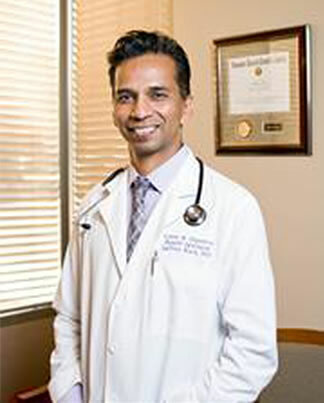 An assistant professor at Midwestern State University, School of Medicine, Dr. Kazi teaches at the University of Arizona College of Medicine and advises and teaches medical students and physician residents from local hospitals. When he’s not in the office or performing procedures, he enjoys lecturing, reading, travel and running marathons. Dr. Kazi selected as one of America’s top physicians.